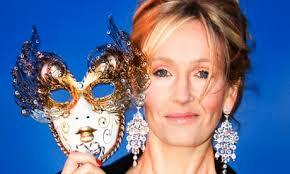 JK Rowling To Release New Robert Galbraith Book!!! If you’re a best-selling author, everything you do gets scrutinized. If you’re a best-selling author that single-handedly re-ignited a passion for reading in young people the world over, you can’t take a breath that someone, somewhere doesn’t want to know about. So it is for JK Rowling. Most writers wait their whole lives to be a best-selling author. When your first attempt becomes the most popular series in history, you might want some anonymity after that. We’ve seen reported how big her house is, what her kids’ tree house is going to look like, what she wears and who she reads. It makes complete sense that she might want a low-key approach to her next book. How do you do that if your name is a house-hold favorite? You take a pen-name. Last Year, Rowling released her first piece of non-Harry Potter fiction. 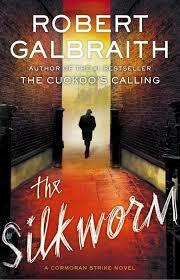 She used the name Robert Galbraith to release ‘The Cuckoo’s Calling‘. It was to be kept completely quiet who the real writer was. It was kept quiet until one of the lawyers with the information, told just one person at a party, we know how the rest went. ‘The Cuckoo’s Calling‘, a crime fiction offering from publisher Little, Brown, is being followed up by ‘The Silkworm‘ to be published on June 19. The book sees the return of PI Cormoran Strike and his assistant Robin Ellacott. The synopsis released by the publisher is this:When novelist Owen Quine goes missing, his wife calls in private detective Cormoran Strike. At first, Mrs Quine just thinks her husband has gone off by himself for a few days (as he has done before) and she wants Strike to find him and bring him home. “But as Strike investigates, it becomes clear that there is more to Quine’s disappearance than his wife realises. The novelist has just completed a manuscript featuring poisonous pen-portraits of almost everyone he knows. If the novel were to be published, it would ruin lives: meaning that there are a lot of people who might want him silenced. 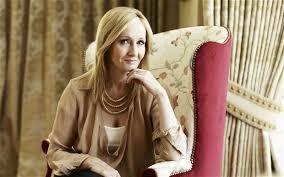 After her name was given with the first book, she took legal action against the firm that leaked the information. Successful in that, she donated the damages she was awarded to charity. With those of us that loved the world of Harry Potter, there are still things to look forward to. The website Pottermore lets us read the books in a whole new way, there is The World of Harry Potter at Universal Studios, A stage play Rowling will co-produce and feature films based on characters introduced in the source novels. If that’s still not enough, you can always make your own Butterbeer from a variety of recipes. Colin Farrell Joins Potter-World’s ‘Fantastic Beasts and Where To Find Them’!!! ‘Harry Potter and the Cursed Child’ To Bow in 2016!!! Eddie Redmayne Is Doing What In The World of Harry Potter?!? JK Rowling Gives Update On Harry Potter’s Life Now!!! This entry was posted on Tuesday, February 18th, 2014 at 8:22 pm	and is filed under Books, News. You can follow any responses to this entry through the RSS 2.0 feed. You can skip to the end and leave a response. Pinging is currently not allowed. « Blu-Ray Review: ‘Game of Thrones’ Season 3!! We dont have a choice.